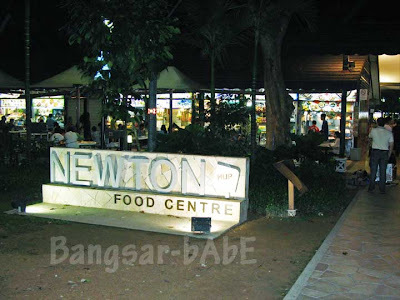 The “man” of the house wanted to have dinner at Newton Food Centre, insisting that I MUST TRY the oh-chien. My two sisters who tried it last year (I didn’t go with them) proclaimed that it was very good. 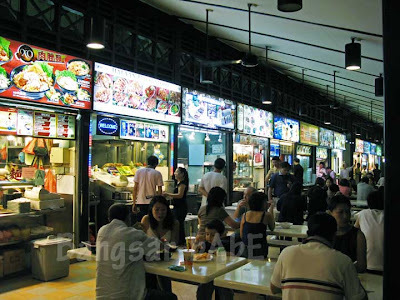 Step into the food centre and you will find many hawkers approaching you, touting for business. 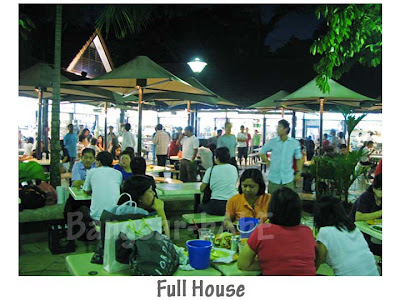 On a Saturday night, the place was crowded but we managed to find a table right in front of the oh-chien stall. We ordered the oh-chien (S$10) first, as sis went on and on (like a broken record) about how nice it was. Verdict? While the omelette was crispy around the edges, it lacked aroma. Oysters were plump and juicy, but apart from that, it was an average dish, nothing worth “hoo haa-ing” about. The popiah was quite good. The homemade skin was nice and firm without being chewy. Plenty of filling, I enjoyed the addition of crunchy bits inside. 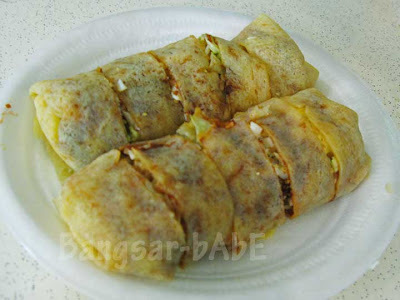 Each popiah costs S$1.50, and the minimum order is 2. 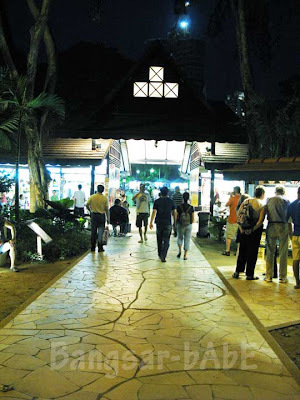 We ordered ikan bakar (S$12), fried noodles (S$10) and fried rice (S$10) from stall 74. 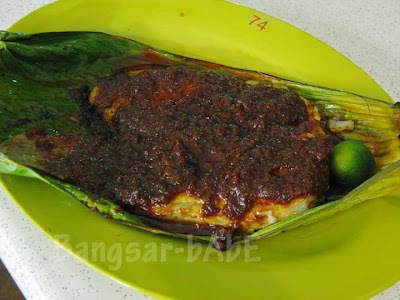 The ikan bakar was decent. The fiery red sambal was piquant and complimented the tender stingray. I found the fried rice terribly disappointing, possibly the worst fried rice I’ve tasted! 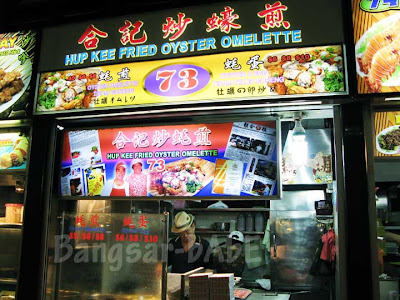 Pale and lacking ingredients, it was borderline tasteless with no “wok hei”, not to mention oily. The fried noodles fared better, but still lacking by my standards. 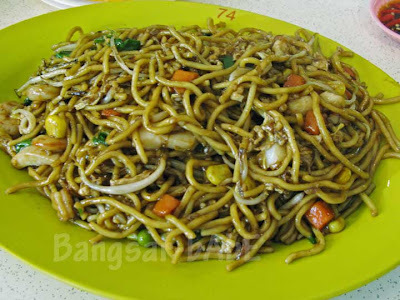 More noodles than lieu, I didn’t like this sodden plate of noodles. The missing “wok hei” was really quite unforgivable. 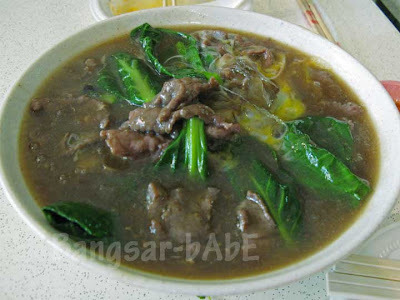 Dissatisfied, I decided to try the beef hor fun (S$8), after spying a few tables ordering it. 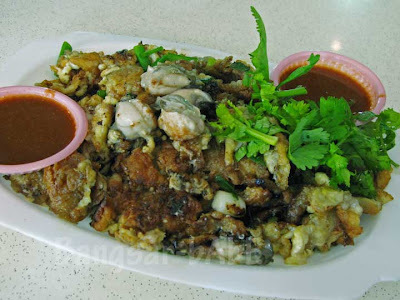 One look at it reminded me of the sar hor fun from Penang. The dark, starchy sauce was sweetish and the rice sheets were big, unlike the slender version I’m accustomed to. I didn’t like it. 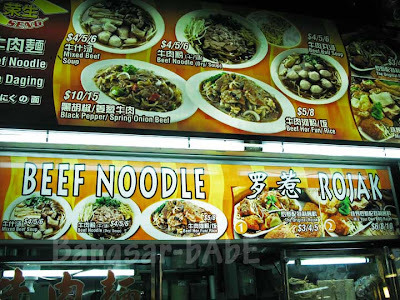 rif however enjoyed it as he loves sar hor fun. Dinner was expensive, we paid almost S$100 for not-so-great food. The two monkeys ordered another large plate of oh-chien, STILL INSISTING that it’s the best they have eaten. 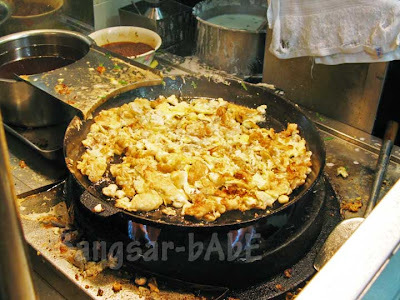 Then again, when you eat THIS often, I guess their ignorance towards good food is forgivable. Verdict: Another tourist area. Go figure. 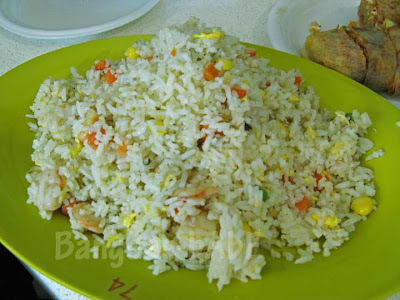 crap..10 sg for that crap plate of fried rice??? thats gila la..